New Zealand is a pure visual inspiration. Bloggers across the globe travel to remote destinations to capture nature’s wonders in the most breathtaking ways, while we’re lucky to live in a country with epic views, lush greens, glacier lakes, black sand beaches, volcanoes and colossal mountains within arm’s reach. Most often we don’t even have to leave our own backyard to create Instagram-worthy content. Seeing people mastering the art of capturing New Zealand’s beauty on photos is probably my fav way to spend time. No matter, if it’s a free evening, quick lunch break or the first thing I do in the morning, I just can’t skip the routine of scrolling Instagram feed, that’s now full of the most amazing local photographers. 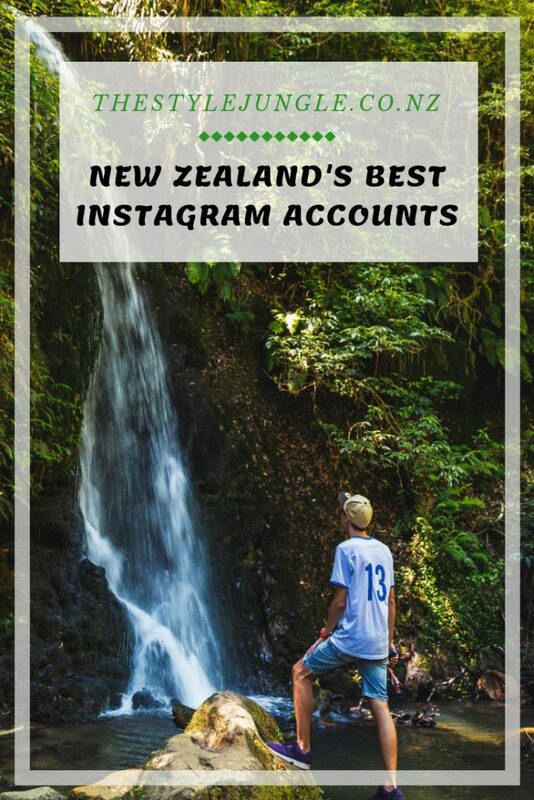 And today I’m going to share the list of the best travel Instagram accounts in New Zealand with you. But can you really enjoy the country at its fullest without exploring it like local? 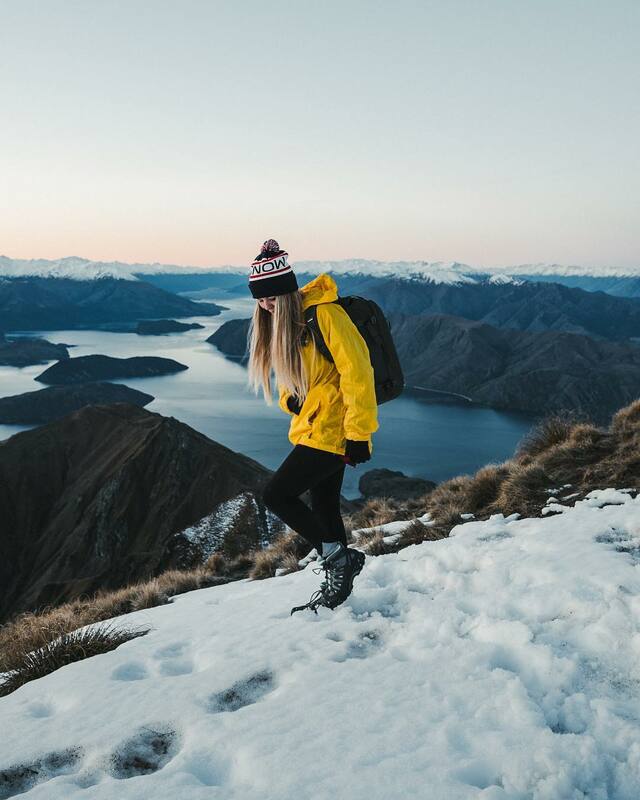 To make this article complete, you’ll find a few absolutely stunning New Zealand lifestyle Instagram accounts here as well. Foodies, stylish IT-girls and overall amazing human beings with inspiring feeds, you’ll never regret following. 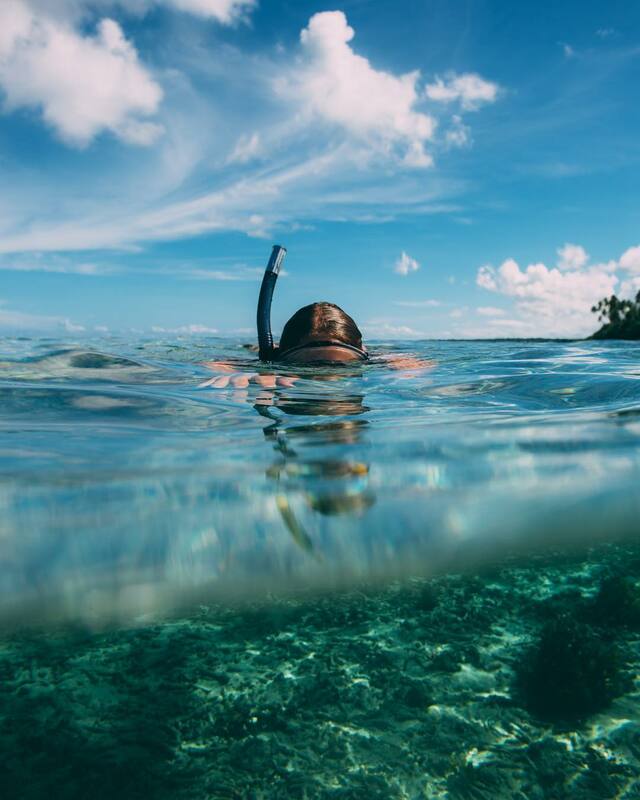 @thebuzzykiwi – that’s what the life of a real adventurer should look like. Colourful, vibrant and positive. Though Stephen clearly knows how to find activities and angles to make everyone on Instagram question their boring lives, he’s never showing off. Perfect shots are combined with honest, meaningful captions, that give a glimpse into a real life of a millennial influencer. And apparently it’s not all yachts and mountains. He has his ups and lows, he might suffer from severe pains but he never forgets that living the life at its fullest is the best gift from the Universe and he truly appreciates that. 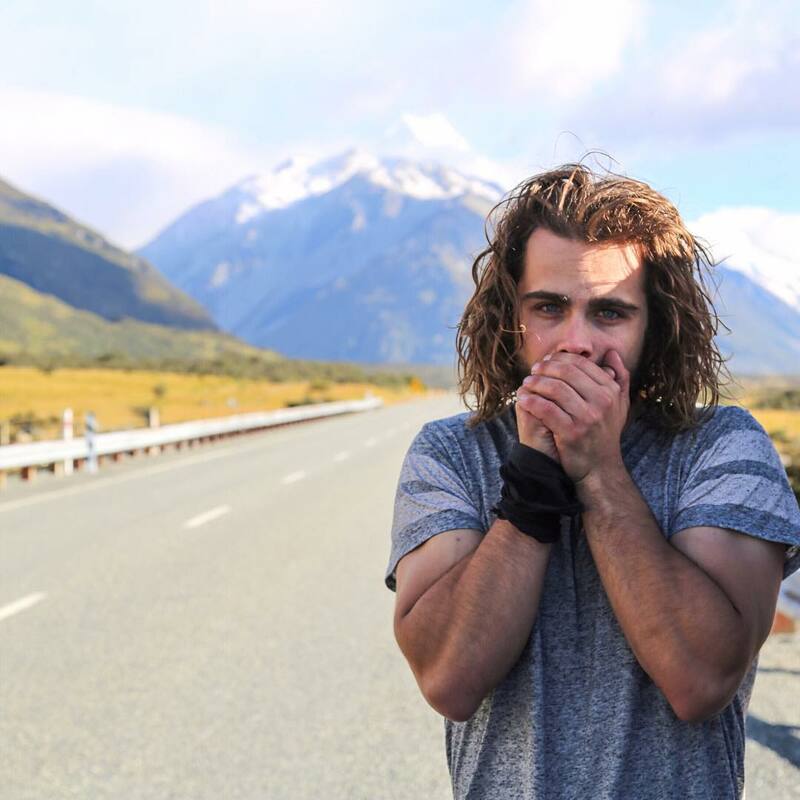 @brandoyelavichexplorer – incredible human being, who, I kid you not, WALKED around New Zealand (that is nearly 8,000km of the coastline). I’ve read his book ‘Wildboy’ about this epic adventure and have been following him on Instagram ever since. It’s great to see how this boy grew into a mature explorer now, always travelling with purpose and lots of fun. Oh, and of course, long captions are just so cool to read! @rachstewartnz – one of the first local photographers I’ve started following, with an impressive 226K audience. It took me a while to realise we’re actually also living in the same town, by the way! Rach was a pioneer in long exposure photography in New Zealand, making this way of capturing nature really popular among local photographers, so don’t be surprised by the amount of the long exposure shots, you’ll find in New Zealand’s hashtags (and this TOP). @point.in.time.nz – landscape and astrophotographer from the Bay. Trust me, you NEED that ‘Mount under the bright stars’ photos in your Instagram feed! @talman – these are the types of shots you print on A0, get them framed and present to your best friend. Simply stunning! @danielmurray.nz – just like with the person above: you simply can’t say a lot about such iconic shots. Eye candy, amde for watching, not discussing. 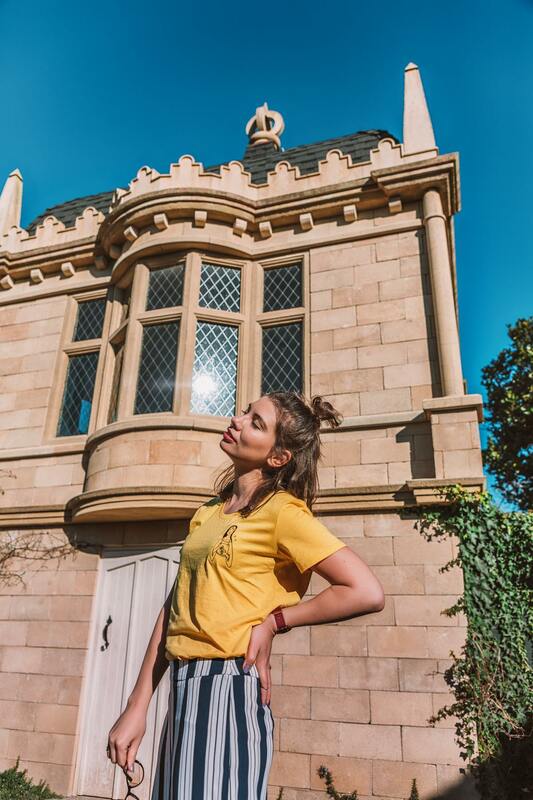 @barekiwi – though I’ve been following Kyle for quite a while, I have only really discovered how awesome he is after that horrible Kaikoura earthquake in 2016, when he helped the region to recover by creating epic content for Kaikoura Tourism board and turning their official Instagram account an informative and attractive source of news from Kaikoura. 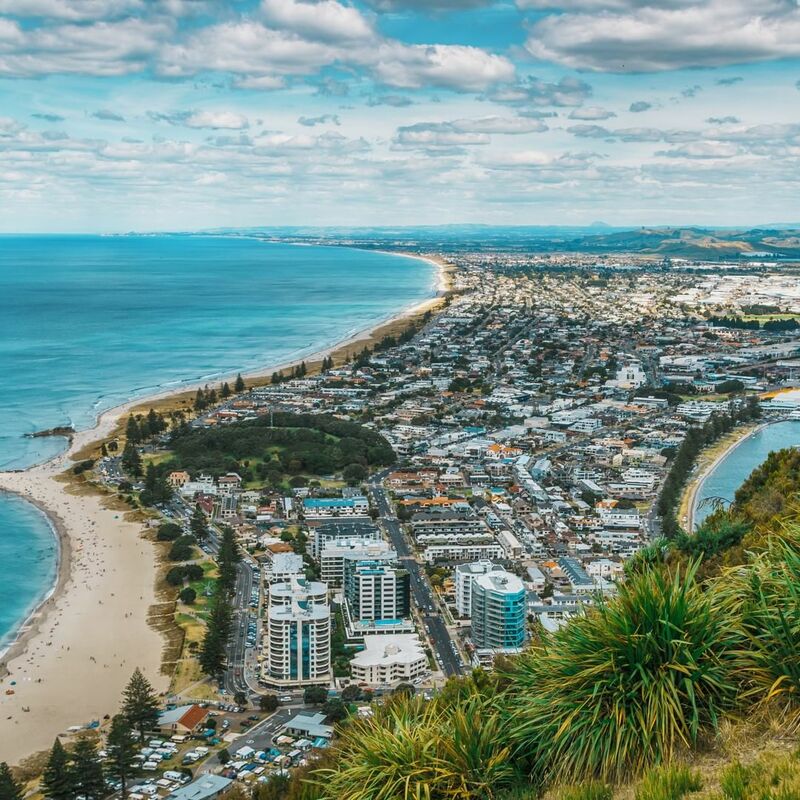 @nzsjoel – ‘Nacho enthusiast’ from Auckland certainly doesn’t mind a person on his landscape photos every now and then. Nor do we! Let’s be honest, that brings everything to life. 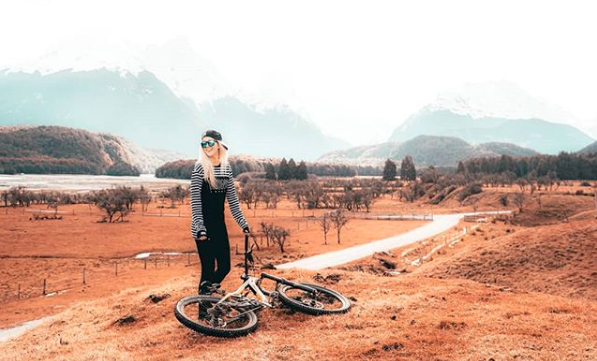 @sophiepiearcey – Queenstown babe on a mission to show this gorgeous corner of the world to everyone. If you’re a sucker for mountains and snow, like I am, that’s the account to follow! 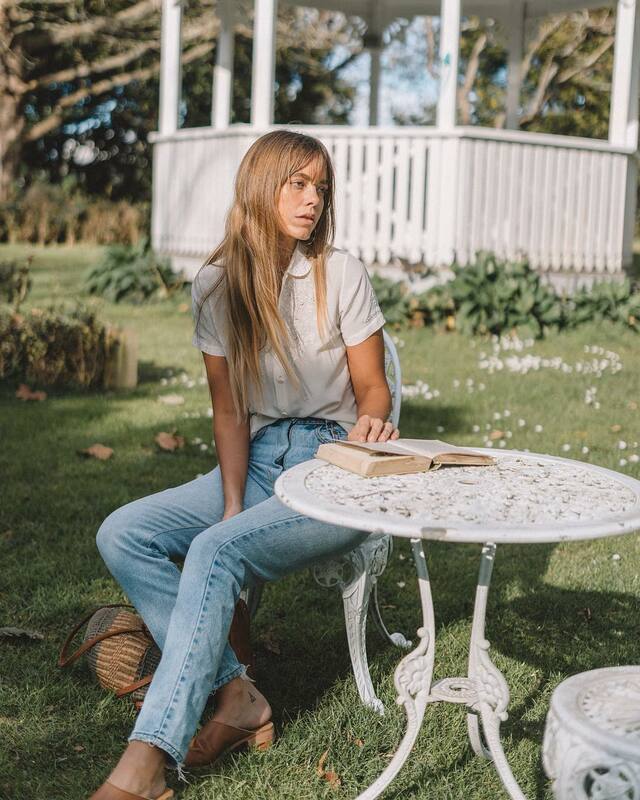 @youngadventuress – American girl, living in New Zealand and travelling the world. Captures cutest penguins, kea and other animals as well as breathtaking views, obligatory for New Zealand Instagrammers. @carmenhuter – amazing blogger and creative photographer, Carmen was born in Austria but lives in New Zealand now. She never fails to surprise with unusual angles and new perspectives. I always enjoy reading her mindful captions, that resonate with my aim to travel consciously and with respect to our planet. @meghanmaloneyphotography – love how uninhabited and tranquil does our country look on her shots! Even the busy, always crowded Mount Maunganui seems quiet at dawn. Isn’t it the mood we all are looking for when travelling in New Zealand? 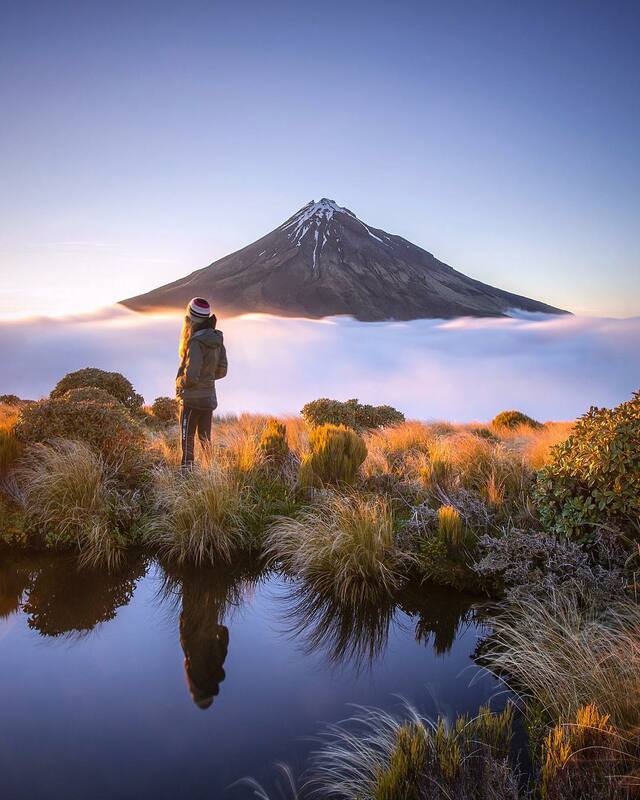 @debc_nz – if you’ve ever imagined yourself he only person left on Earth, your life most probably looked like Deb’s photos – stunning landscapes and a tiny little girl in a distance. So romantic! @lola.photography – Lola’s photos are all flares, details and new angles. Every time I see a new picture, I feel like interrupting an intimate, very personal moment, so lively they always are! @laurie_winter – love her vibrant, bright colours. Making the whole New Zealand look like Hobbiton? Yes, please! I’m a fan. @rachealtrail.nz – there can’t be too many long exposure photos of New Zealand’s nature, right? Racheal also has a second account, devoted to waterfalls, and I love having a little sneaky peek of her waterfall art every now and then. @south_of_home – landscape photography couple from Queenstown. You’ll never wanna scroll further if you’re an avid sky lover. @brentpurcell.nz – had enough of just watching and keen to start your own epic Instagram account now? Brent is the guy you need, as he organises phototours around New Zealand, often visited by some the talents mentioned above. 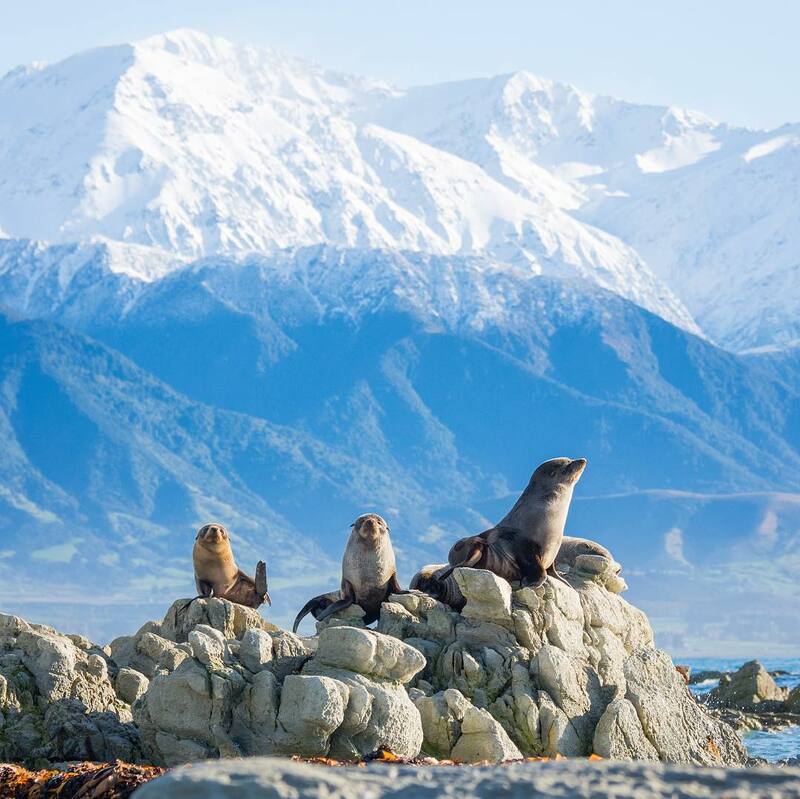 Imagine hanging out in Milford sound or Mount Cook area with these guys! @travelphotoskiwi – while many New Zealand photographers tend to be too focused on nature, Hamish Boyt enjoys life in all its forms, which makes his account really versatile and interesting for everyone. @willpatino_photography – wow! That’s New Zealand like never before: mighty, powerful, moody and totally insane. 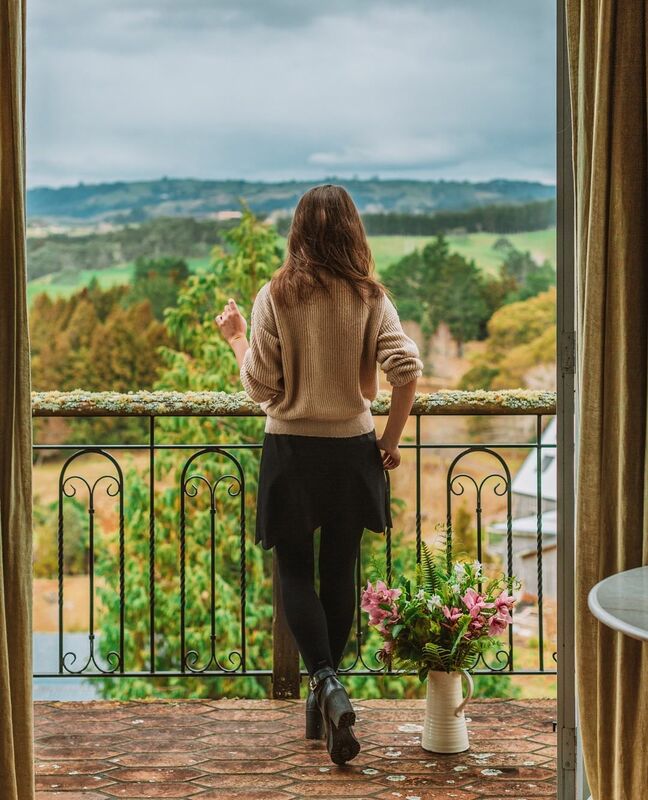 @thestylejungle – honestly, feels a bit weird to mention myself but the fact that lots of our friends say they always check out my Instagram account when making plans for a weekend getaway or searching for a perfect surprise for their special someone’s Birthday, makes me believe it’s really useful and interesting. I used to be 100% travel-focused but since moving to New Zealand tend to fall more into a ‘lifestyle’ category, adding a bit of beauty/fashion/food pics every now and then. @alexspodyneiko – I mean, there would’ve been no @thestylejungle without the guy behind the camera of all my shots:) Alex is known for top-notch travel and lifestyle photos and writing super-long, detailed and informative captions under his photos, so make sure you save his suggestions and tips for future travels and unique experiences! 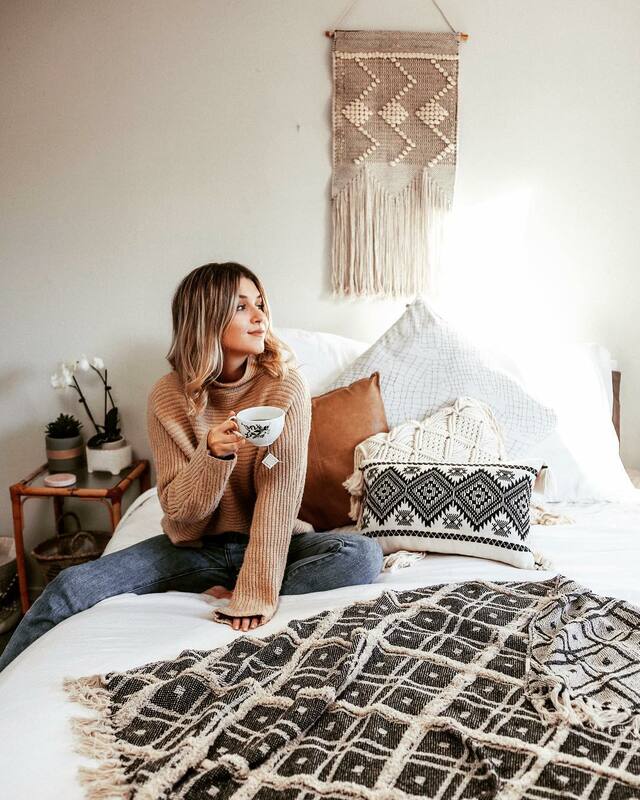 @herlifeofadventure – stylish Ozzie gal now living in Queenstown. Seriously, nothing can beat New Zealand’s nature but who knew a bit of a lifestyle from a beautiful positive girl for a change can be so refreshing and empowering! Really makes me wanna experience Queenstown’s lifestyle one day. @robbiehunteeer – a good friend of ours, Robbie is passionate about portrait photography, which makes his shots really authentic and different from anything else you see on Instagram. 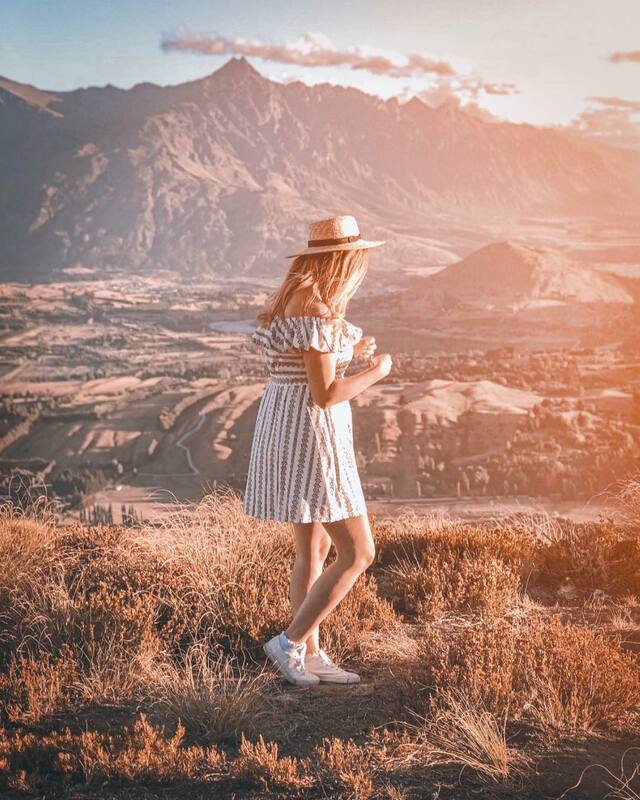 @ashowens_ – beauty blogger with a great style and picture-perfect travels. I’m honestly a bit obsessed with her Stories, where she shares latest beauty collections and skincare routine you can totally trust (just look at this glowing skin!) on a daily basis. @tastefullytash – Tauranga’s main foodie:) Tash demonstrates exceptional food photography skills and the healthiest lifestyle out there. Seriously, I wonder if she ever eats anything except for green smoothies and raw balls. Also my go-to account for the trendiest Tauranga eateries. @christinamacpherson – that’s what I call ‘a real Instagram model’! Christina is a gorgeous person both on the outside (seriously, my girl crush) and on the inside (check out her kind and lovely captions). @tompaterson_nz – Christina’s fiance and season one ‘Survivor NZ’ participant. Love how these two complement each other in real life and online. Has a creative approach to his feed and photos, which is always exciting to see. @rach_swiftandclick – the girl behind some of Christina’s photo (don’t you just love how I’ve simply included everyone involved in her life here?) and Mount Maunganui photographer. Her photos are light, airy, bright and so emotional. She doesn’t just capture people but rather their souls and characters. 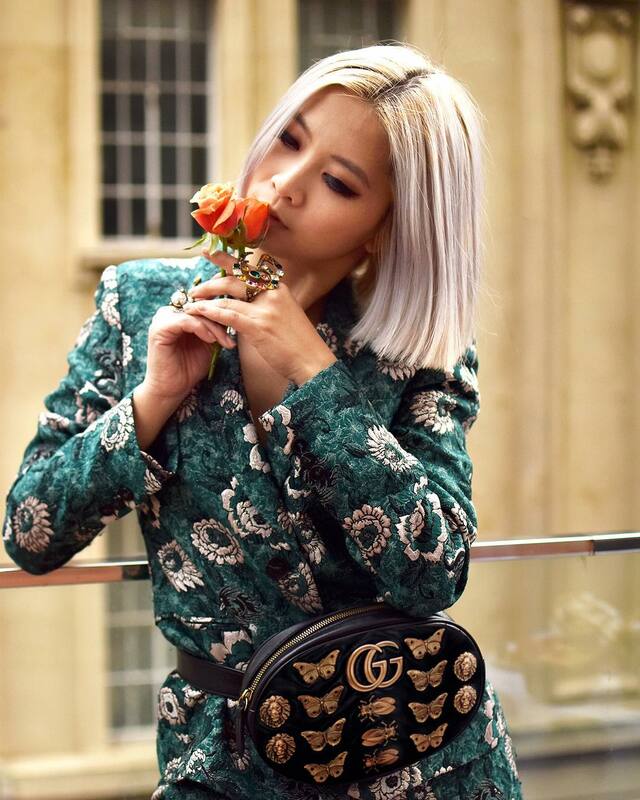 @thesleekavenue – I wouldn’t be surprised to find this Instagram account while browsing for ‘best Italian bloggers’ or ‘best French bloggers’ but I honestly couldn’t expect these luxurious, haute couture vibes from a local girl. Don’t we all know New Zealand is all about being relaxed in what you wear, haha? Follow Aki for a whole new level of fashion inspiration. @katecraigbrown – couples’ photographer. And though she has a different account for this type of shots, I really prefer personal one, where she frequently shares a shot or two of herself, her friends or the wonderful surrounding there’re exploring at the moment. I’m also a huge fan of the funny ‘behind-the-scenes of the photoshoots’ stories in captions. @furtographynz – seriously, the name alone says it all:) How can one NOT follow someone called ‘FURtography’? Cutest photos of dogs, made with the highest level of professionalism. Liked this post? Please, share it on your social media! Thank you.